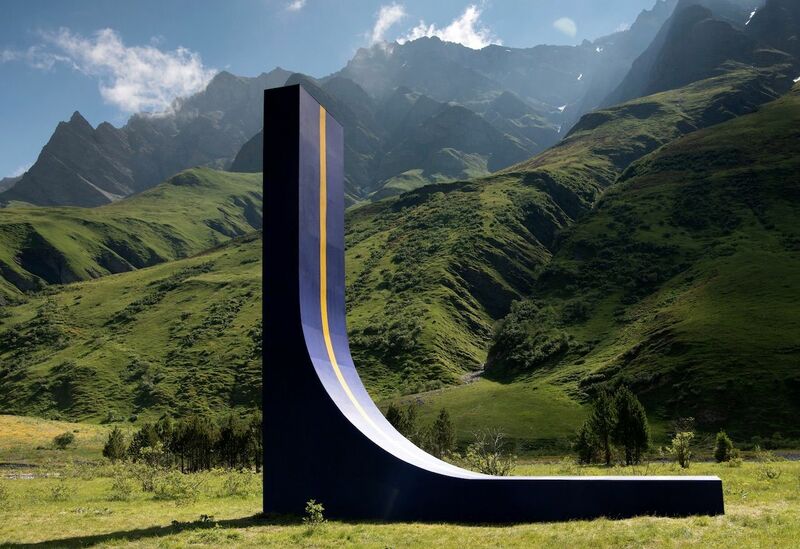 As if the natural beauty of the Swiss Alps was not quite enough, now the area will also be peppered with art. 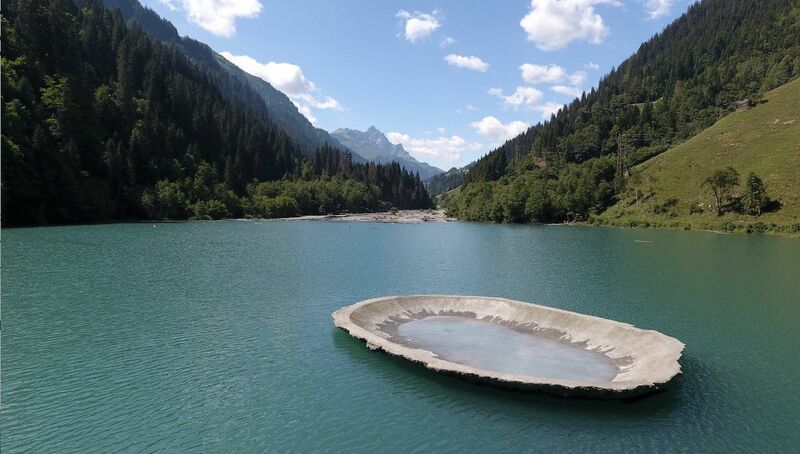 An art exhibit just opened in the Swiss Alps’ Safien Valley, featuring several installations inspired by nature. The exhibit is part of the Art Safiental Biennale 2018, and its purpose is to allow locals and tourists to interact with unique, temporary pieces. The “Horizontal — Vertical” exhibition is also accompanied by an art hiking map, which guides visitors to the exact locations of all 14 pieces, so you don’t have to worry about getting lost in the mountains. Many of the participating artists actually traveled to the valley last year, to stake out a location for their installations. Exhibits include a large blue ramp with a yellow racing stripe, a hive of honey bees whose buzzing is broadcast through speakers, and a video installation in an underground tunnel. One particular piece, by American artist Lita Albuquerque, features a bright blue figure of a female on the summit of a mountain, lying down with one ear pressed to the ground. What makes this piece truly special, however, is its counterpart located on the other side of the globe in New Zealand, due to be installed soon on the ocean floor. The installations will be visible until October 21st. They’re free to view, and hikers should allot two days if they want to see everything (it’s about 60 to 90 minutes between each piece). Guided tours, as well as special talks and performances, will also be available.